Whitford House Hotel is one of the top family friendly hotels Ireland has on offer, voted as the 11th top hotel on Trivago in the category of "Best Hotels for Families in Ireland". There are plenty of fun activities for the family to enjoy in Wexford, all of which are located within close proximity to the hotel ensuring Whitford House hotel is one of the top destinations for those seeking Family Friendly Hotels Wexford. Please browse through our suggestions on some of the most popular family activities in Wexford. Leisure Max: Wexford’s biggest indoor and outdoor family entertainment centre with lots to do for all the family. Outdoor activities:- Zipline, Climbing Wall, Abseiling, All Aboard, Abseiling. Indoor activities :- Ten Pin Bowling, Indoor Adventure Playground, Body Zorbing, Hover Archery, Footy Pool, Sumo/Gladiator, Bungee Run, Pillow Basher, Five a Side Soccer Pitch. Located in Drinagh in Wexford only a short 5 minute drive from Whitford House Hotel. This Entertainment centre has fun and games for all the family. Hotel guests can avail of Discounts of up to 30% on all Activities. 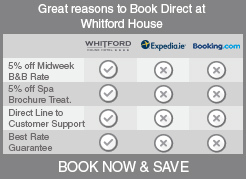 Omniplex Cinema: For those rainy days, Whitford House Hotel is located just 10 minutes from Omniplex Cinema. Irish National Heritage Park: Take a trip back in history and enjoy a host of activities including gold panning, archery, stimulated excavation even row your own oracle! Kia Ora Mini Farm: This family friendly farm allows the children to roam while the adults sit and relax. With a pet farm, maze, mini diggers and go kart track, Kia Ora Mini Farm is sure to be a success with all the family! Pirates Cove: Courtown Harbour is home to Pirates Cove where activities include bowling, mini golf, go-karting, bumper boats and an arcade! Extreme Adventure at Gravity Forest Park: Gravity Forest Park boasts the largest adventure ropes course in Ireland so get ready for aerial trekking, zip wires, climbing walls and more! Quad Attack: The Quad Attack Adventure Centre offers a thrill for anyone ages 6 onwards! Facilities include outdoor quad biking, sumo wrestling and a rodeo bull.